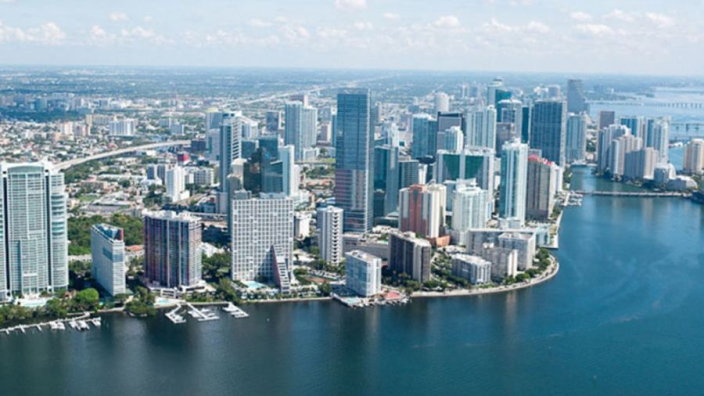 Miami mayor Francis Suarez has admitted that the city council expect to face legal action from disgruntled residents as they continue to pursue a Grand Prix in the American city. Formula 1 has confirmed plans for a Miami GP in September 2019, although the proposals were met with resistance from many locals. The city is set to host an F1 Live event in the build-up to this year's United States Grand Prix to give locals a taste of the sport, although many campaigned against the addition of a grand prix. The race was approved earlier this month by the city council, allowing negotiations with F1 to commence. A downtown track that circles the American Airlines Arena, home of NBA's Miami Heat, and the Freedom Tower has been criticised by race fans, but Miami natives are similarly disgruntled by the potential disruption to daily routines, transport and access to amenities. While approving the race, commissioner Joe Carollo said: "We're going to end up being sued and I'm going to tell you that they're probably going to win suits." Although accepting concerns, Suarez hopes that the race's organisers will be able to appease the situation. "The residents are our bosses," Suarez told Motorsport. "And we have to take into account their concerns. "The two major homeowner associations in the area have already expressed some concerns, but also said that this may be good for us. I think that's a positive start. "Often residents can start off in opposition, but the fact they're open to working with promoters and other stakeholders, for me that's a big positive. "From what I've seen from the promoters, they are very conscientious that this is a race that does impact residents and businesses, and everything I've seen from them indicates that they're going to listen and work hard to make everybody happy."